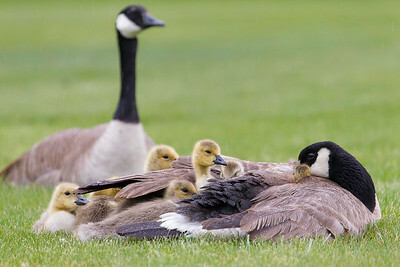 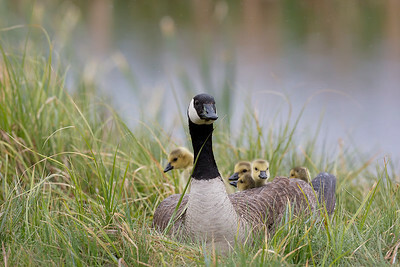 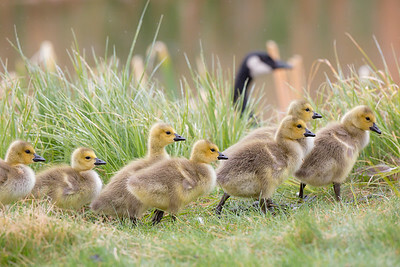 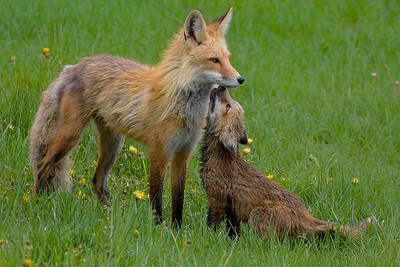 After a strong summer rainfall, this kit emerges from the den covered with mud to be bathed by it's mom. 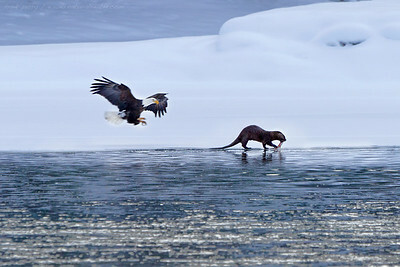 A river otter takes its catch onshore, unaware of the eagle's fast but silent approach and intent to steal his dinner. 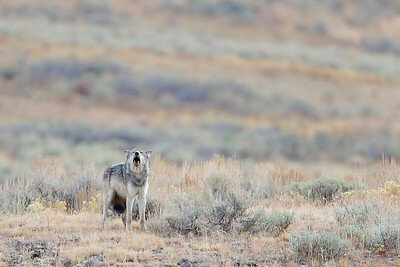 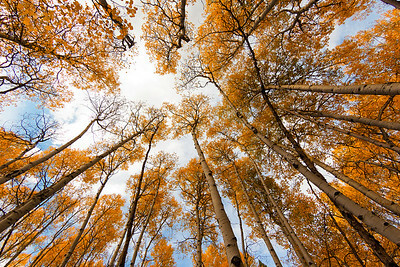 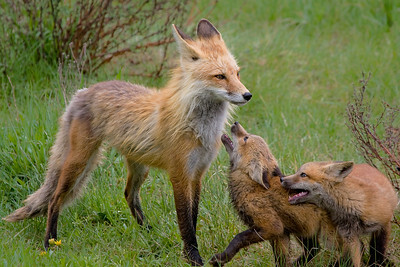 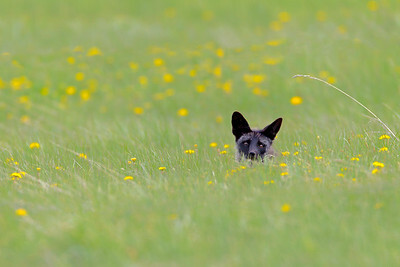 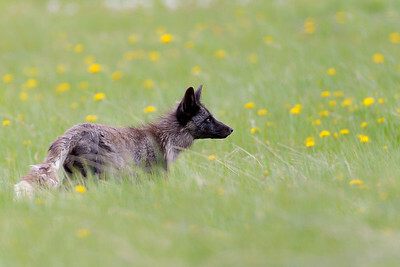 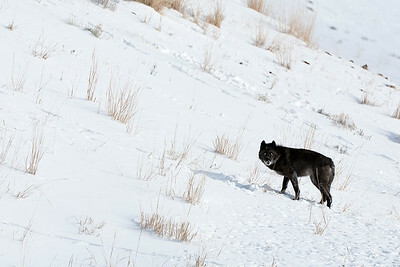 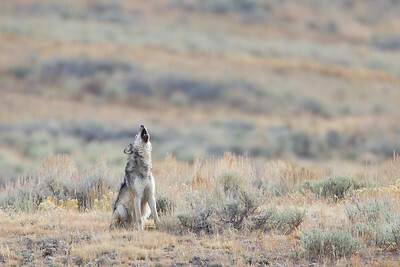 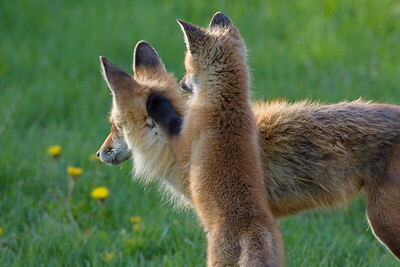 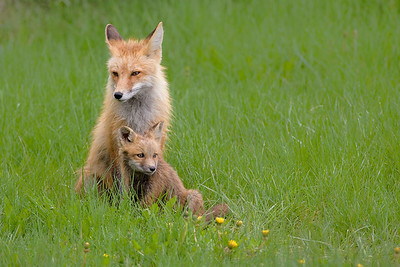 A black-colored red fox surveys his kits near Jackson Hole, Wyoming, May 2012. 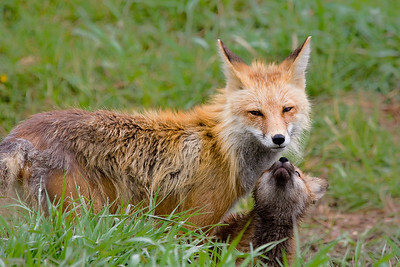 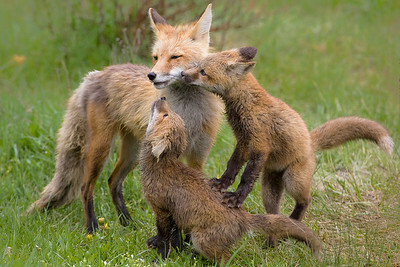 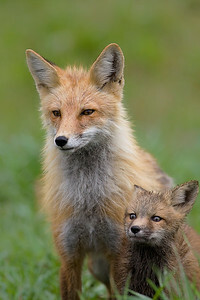 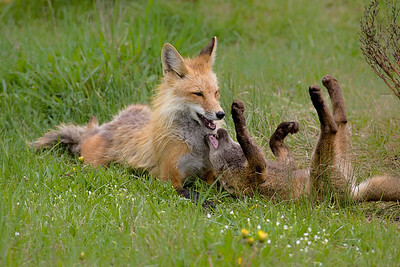 Red foxes can mate with naturally occurring black colored red foxes (same species) and there are several color combinations resulting. 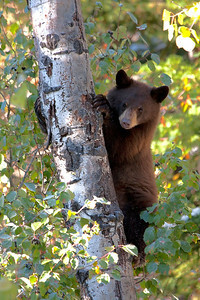 A young black bear cub is enjoying his first season of foraging on hawthorne and serviceberries. 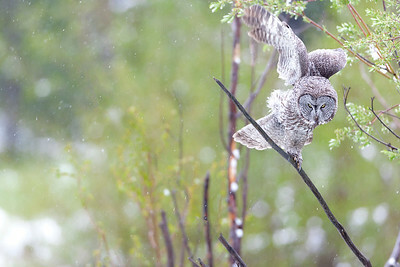 a winter storm greeted this great grey owl on memorial day weekend, 2012. 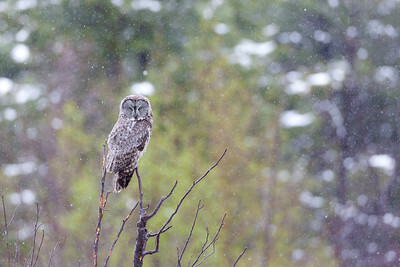 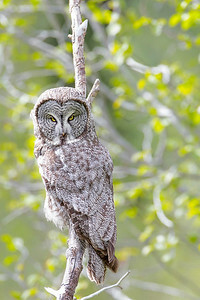 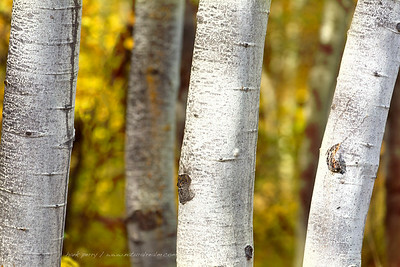 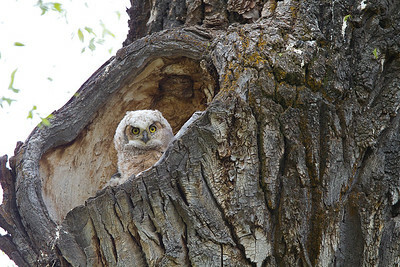 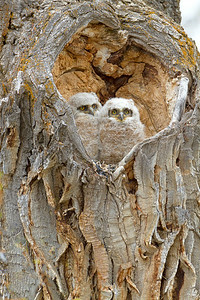 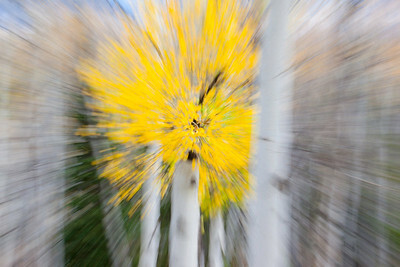 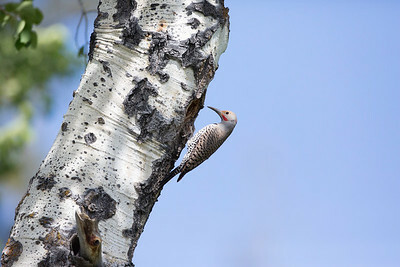 A day after the snow, this same owl was hunting in the same spot, near Moose, Wyoming in Grand Teton National Park. 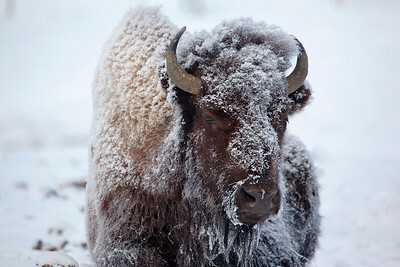 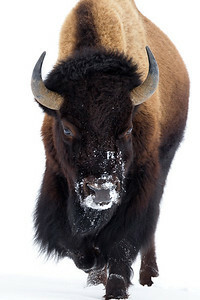 Yellowstone's grueling winter temperatures of minus 10F are sustained by this bison, photographed at dawn. 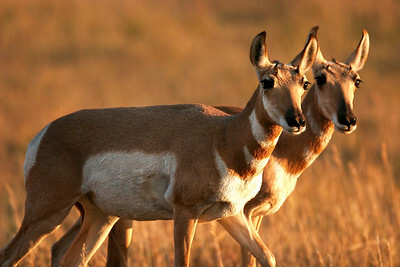 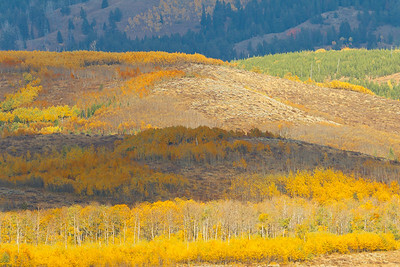 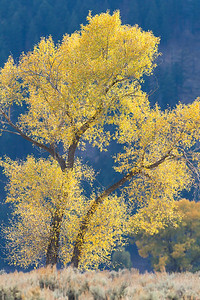 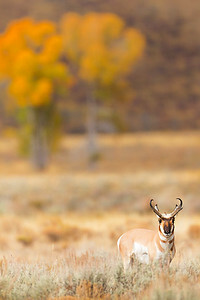 Pronghorn antelope migrating out of Lamar valley at sunset, October. 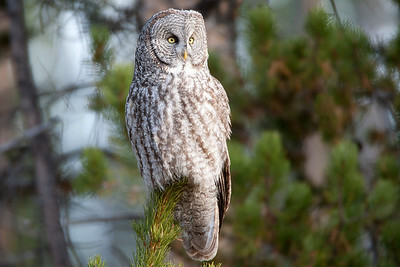 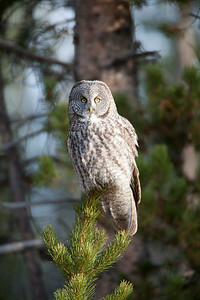 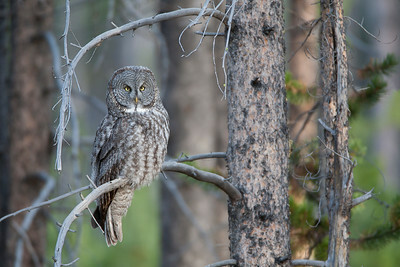 A great gray owl at sunrise - waiting for a little movement in the field adjacent to this stand of lodgepole pine. 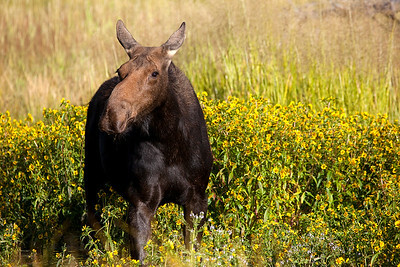 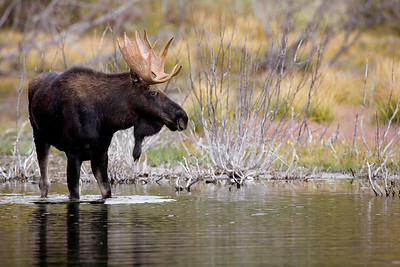 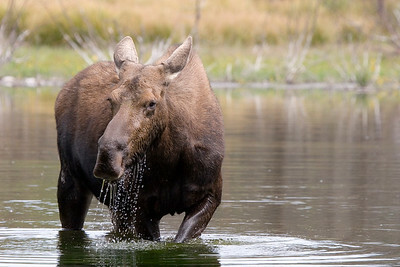 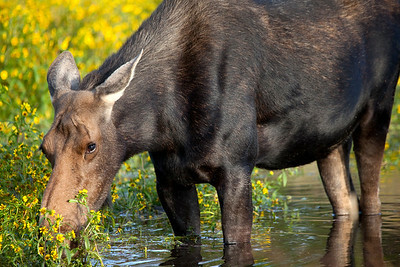 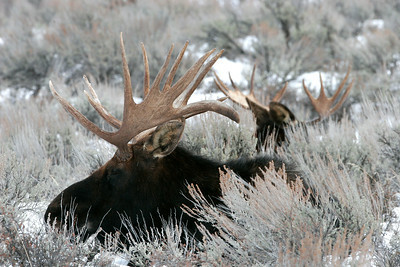 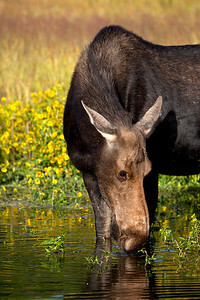 A pair of young bull moose bed down in the sage, around New Years. 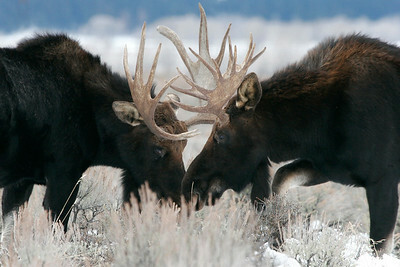 The antlers will be dropped any day around this time. 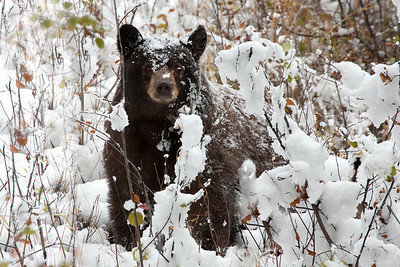 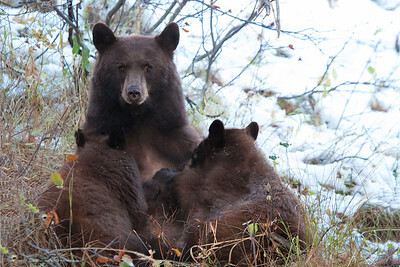 A young black bear nurses its two cubs during an October snowfall.